When your world looks kinda weird and you wish that you weren’t there, just close your eyes and make believe that Marvel took advantage of its relationship with Disney to get the rights to the Muppet Babies theme song for its new children’s series featuring creepy baby versions of the Avengers. 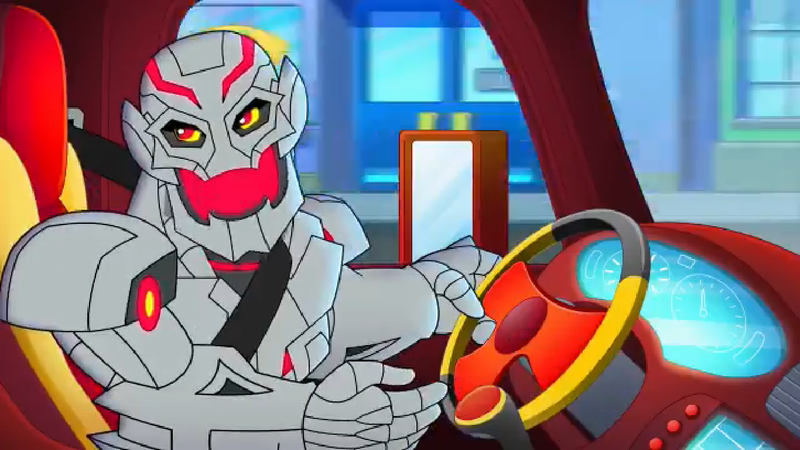 Marvel Super Hero Adventures is Marvel’s new multimedia project aimed squarely at preschoolers who aren’t quite old enough to appreciate some of the company’s other kid-friendly programming. Like DC’s wildly successful DC Superhero Girls properties, Marvel Super Hero Adventures takes a number of Marvel’s heroes, like Spider-Man, Black Panther, and Iron Man, shrinks them down to kid (?) size, and sends them on a series of zany adventures. The first two shorts premiere tomorrow, October 13, as part of the Disney Channel’s Disney Junior programming and then again on Disney Junior; they’ll also be available on the family-focused Marvel HQ YouTube channel. The show’s very obviously been designed for a younger audience, but older viewers are sure to get a kick out of the decision to style the heroes as, um, creepy, muscular children that may or may not just be chibi-fied adults. Get a look at the madness for yourself in this new clip in which Spider-Man and Iron Man team up to stop Ultron... who has stolen a garbage truck.